Crown group Strigiformes are divided into the Tytonidae (barn owls) and Strigidae (true owls). The latter have a worldwide distribution, whereas barn owls are absent from the northern parts of Asia and North America. All owls possess semizygodac-tyl feet and most extant species are crepuscular or nocturnal. The osteological features of owls are distinctive and allow an unambiguous identification of the major postcranial bones. The fossil record of strigiform birds goes back into the Paleocene and is quite extensive in Eocene and Oligocene deposits of the Northern Hemisphere. Most notably, however, there is as yet no Paleogene fossil record of owls from the Southern Hemisphere. Although a great number of fossil strigiform taxa has been distinguished in European and North American fossil sites, their interrelationships are still poorly understood. 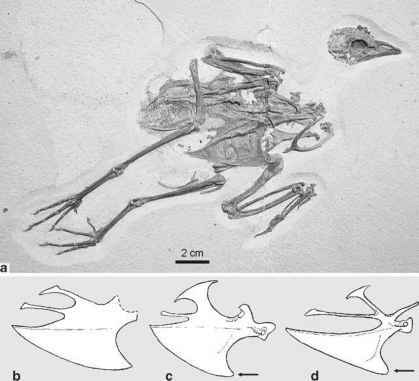 The two known Paleocene taxa are trenchantly different, and whereas one (the North American Ogygoptynx) is quite similar to crown group Strigiformes, the other (the European Berruornis) is not. Apart from their proportionally shorter legs, late Eocene and Oligocene owls most closely resemble extant Tytonidae in overall morphology, but these similarities are likely to be plesiomorphic; there exists no unambiguous Paleogene fossil record of the Strigidae.